SharePoint provides a very detailed set of RESTful API which allows us to interact with SharePoint data lists. When sending GET API calls, there is no need for additional security validation. When sending a PATCH (update) or POST (create), SharePoint requires that the request headers have an additional header with an authorization token. In this article, we take a look at getting this authorization token, and sending a request using an Angular application. In this function, we use the API _api/contextinfo which returns a base64 encoded string. The token also has an expiration of usually about ten minutes which depends on the SharePoint configuration. Once the promise is resolved, we capture the X-RequestDigest JSON value, and we set it to a variable which can enable us to use it when making other API calls. 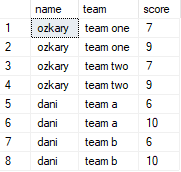 When creating or updating information on the data lists, we need to send the item values as well as the metadata information for the list. Without the metadata, the request will fail. We can identify the metadata information by first sending a GET request. The returning payload provides the data with the corresponding metadata. In the rest of the code, we set the title and comments properties of the JSON payload. We then use the HTTP service to send a POST request with the header information. We should notice that there is an X-RequestDigest header entry which matches the name that we received when we initially get the token in the previous snippet. In this header, we can then set the security token value and send the request. By adding the digest token to the header, the PATCH and POST API calls should be successful. We do need to remember that these tokens have an expiration window, so we should check for this and refresh the token when it is about to expire. I hope this is able to help you resolve the authorization token requirements when creating and updating a SharePoint data list. SQL Server Integration Services (SSIS) is a great tool for building ETL processes. On SQL Server, we can configure an integration services catalog to deploy and configure all the SSIS packages. When using this service, there is also a catalog database named SSISDB that needs to be maintained before we quickly run of disk space. In this article, we look at the catalog retention policy to better manage the disk space requirements on the SSISDB database. The SSISDB is a database that holds all the integration service catalog metadata as well as version and execution history. Depending on the frequency of execution of our packages, the database size can grow very quickly. 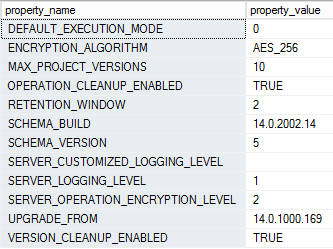 Fortunately for us, there is a SSIS Server Maintenance Job (SQL Server Agent jobs) that runs every day to clean up and maintain the database. The problem with that job is that it depends on some configuration to enable the cleanup and the retention period which can be 365 days. Depending on our package activity, that retention window can lead our database space to grow in the hundreds of gigabytes. This is a view for the catalog configuration. This stored procedure is used to update a configuration setting. This should be set to TRUE to enable the cleanup of historical data. This is the amount of dates that are allowed for data retention. If this data is not critical, set it to a low number like 30 days or less. By setting those fields, we can run the stored procedure to clean up the data on demand, or we could also wait for the SQL job to run at its scheduled time and clean up the data for us. If the amount of data is very large, this script may take some time to run. Just let it run and monitor how the retention window decreases with every cycle. SSISDB like any other database needs to be maintained. Depending on the activity of our SSIS packages, we need to be mindful of the maintenance plan for this database. We need to look at the catalog retention policy to make it is compliant with our disk space capacity. On previous articles, we learned how to deploy multiple ASP.NET MVC Apps on the same Azure Web App by using virtual applications. We also learned that for some cases when more than one application defines the same routes, this may lead to an ambiguous routing request if not configured properly. In this article, we learn how to configure our development environment with a virtual directory and have a second app run on the same process which should simulate the environment on Azure. Visual Studio Solutions contain a .vs folder with solution configuration information. In that folder, we can find a config folder with an applicationhost.config file. This is the file that enables us to configure IIS Express when running apps from Visual Studio. In the settings, there are two sites (site node), main and admin. Both of those sites run from a different local folder and a different port. If we translate this to an Azure deployment, we will need to deploy to two different web apps. 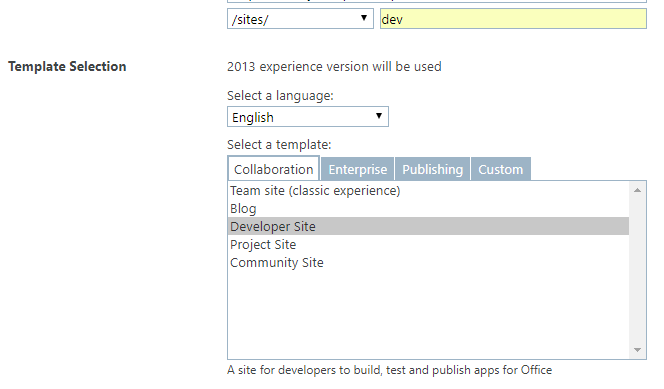 To review, we just add another application setting under the same site node configuration. We need to be careful in setting the path information otherwise this can lead to errors. We set the new application node path attribute to the virtual directory name (/admin). We then set the virtualDirectory node attribute path to the root of the second project which should have a different physical path. This essentially is the same as if we would do this on an IIS Server. To validate that our configuration is working properly, we can take a look at the process that IIS Express is creating for us. We first take a snapshot of the process prior to making the virtual directory entry. If we run the projects, we would see that both projects are running with a different process ids, PID. This is shown on this image below which is taken from the IIS Express admin app which is available from the system tray. We can then stop the applications and add the additional application node under the main site. We are now ready to lunch the applications again and take another snapshot. We should now see that both applications are running under the same process id PID 25860. Hope this is helpful and thanks for reading.